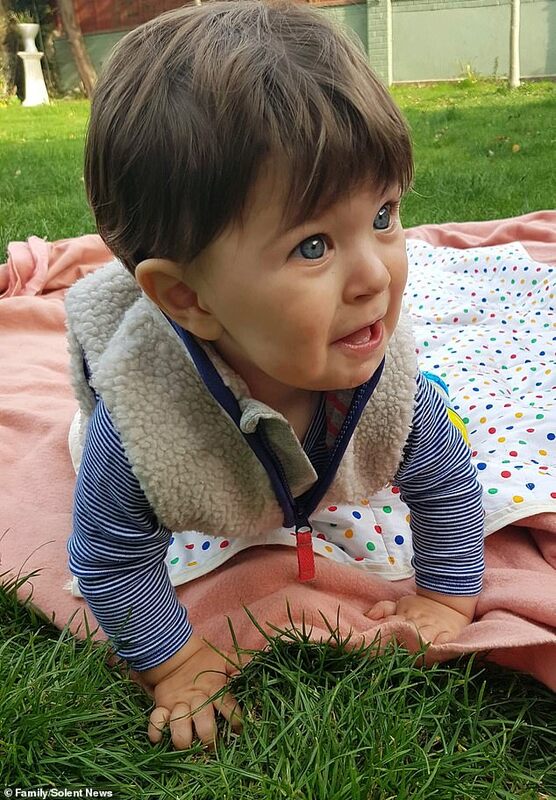 Charlie's parents have already exceeded their £1,000 target for a trip to Denmark where doctors will develop a bespoke breathing mash that will let his face develop normally. CCH means Charlie's central nervous system fails to properly regulate his breathing when he falls asleep. Landlords Angie Ryan and Steve Pratt, both 55, from Denmead, Hampshire, set up a fundraising page for Charlie's parents, who used to be regulars at their pub Fox and Hounds. 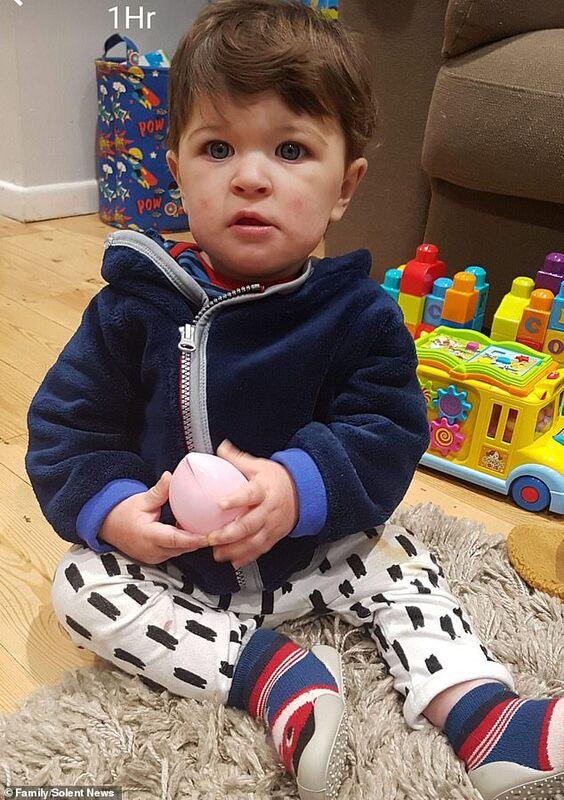 On a Justgiving page for Charlie, Ms Ryan wrote: 'We were heartbroken to hear of Charlie's condition and can only imagine the struggles his mum and dad have been through. 'It is so rare that only 1,000 people in the world have been diagnosed with this lifelong and life-threatening condition, which has completely turned his mum and dad's life around. 'Charlie's mask is starting to cause him facial deformities, so any money raised will go towards a bespoke mask which will hopefully allow his face to develop properly. 'He had all these tubes and equipment and they explained he had spent months in hospital' he said. 'I was really upset hearing about what he goes through and wanted to do something. 'The community always get involved when we do our events,' he said.